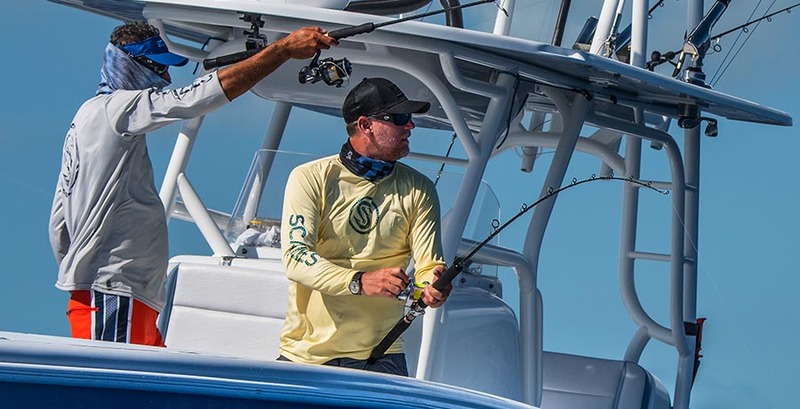 Into the Blue Hosts, Captains Steve Rodger and Scott Walker, both have proven themselves to be top charter boat and tournament captains in offshore fishing. Follow these two friends as they travel to great fishing destinations sharing the techniques that have driven their success. Filmed in full HD, extensive underwater images rise above the surface to take breathtaking aerial and surface images to educate and entertain the viewer like never before. Join us for Into the Blue… the most exciting offshore fishing show on television!